Tony weaves a great story with twists, technology and science that will make your skin creep at times, as Dylan finds out more about the strange Eight Mile Island. With short, fast-paced chapters and lots of action, all told in a clear, descriptive style you really experience the whole journey with Dylan. It kept me guessing throughout, and being told in the first person it cleverly excludes and includes things that only Dylan would know. Overall, 4.5* for me: Eight Mile Island kept me gripped and interested from start to finish – highly recommended. 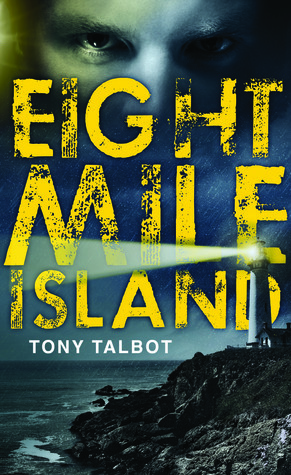 This entry was posted in Reviews and tagged 4.5*, eight mile island, mystery, review, thriller, tony talbot, YA on March 10, 2013 by mel.